Are you interested in getting healthier? Are you you stuck for ideas on new recipes? Or do you have no idea where to begin your clean eating journey? Well, look no further! I have created a recipe book of my favorite recipes that are all very easy to make and will get you started feeling healthier and happier in no time. This book is over 65 pages and contains 25 recipes that are all gluten free, with a variety of vegan, vegetarian, chicken, and beef recipes. Recipes included are: porridge (oatmeal), smoothies, savory breakfast, juices, salads, lunch options, dinner options, desserts, snacks. 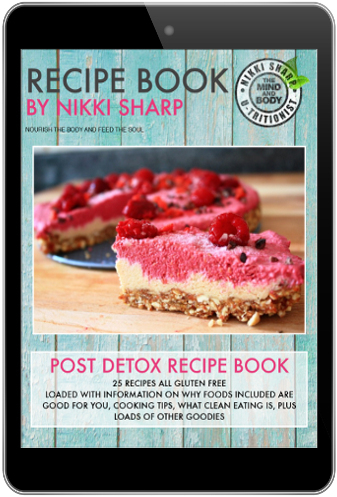 It's loaded with information on WHY the foods included are good for you, tips on how to make everything, what CLEAN EATING means and how to follow it for health, plus loads of other goodies!